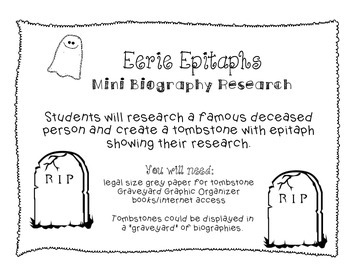 A quick little mini research....students research a famous deceased person, create a tombstone, and write an epitaph for him or her. 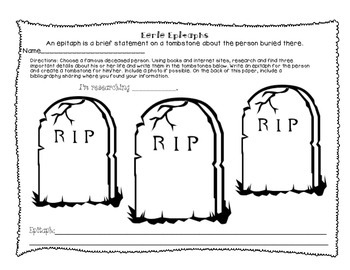 Add the tombstones to a "Biography Graveyard". Perfect for Halloween week!